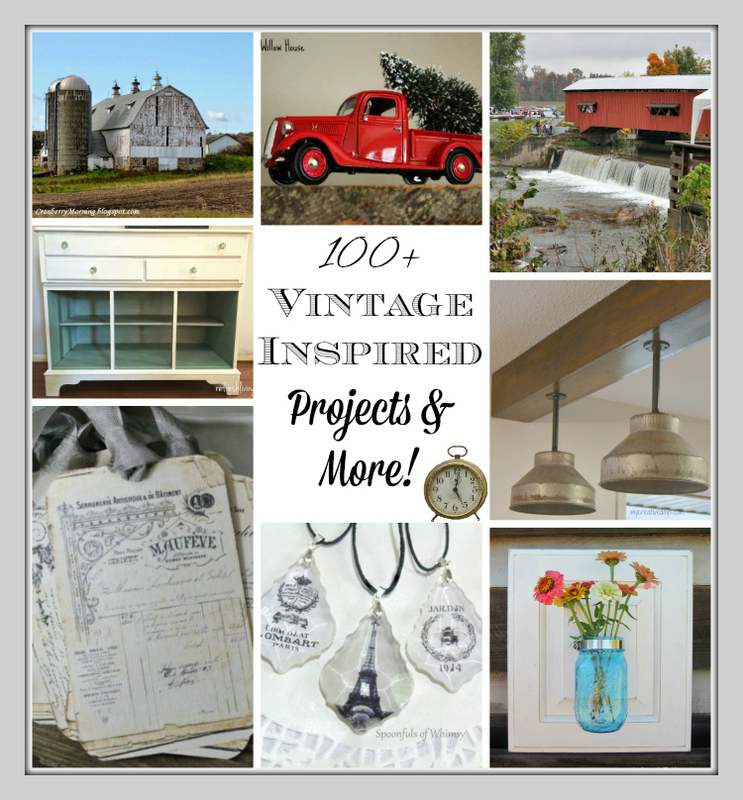 Welcome back to the Vintage Inspiration Party! It's THE party for lovers of all things vintage-inspired! Let’s take a look at this week’s features, selected by Angie @ Knick of Time. 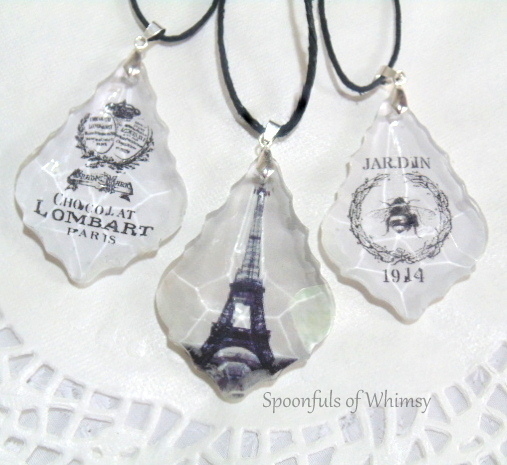 Thrifty Rebel shared a tutorial to make lovely decoupaged chandelier crystals. 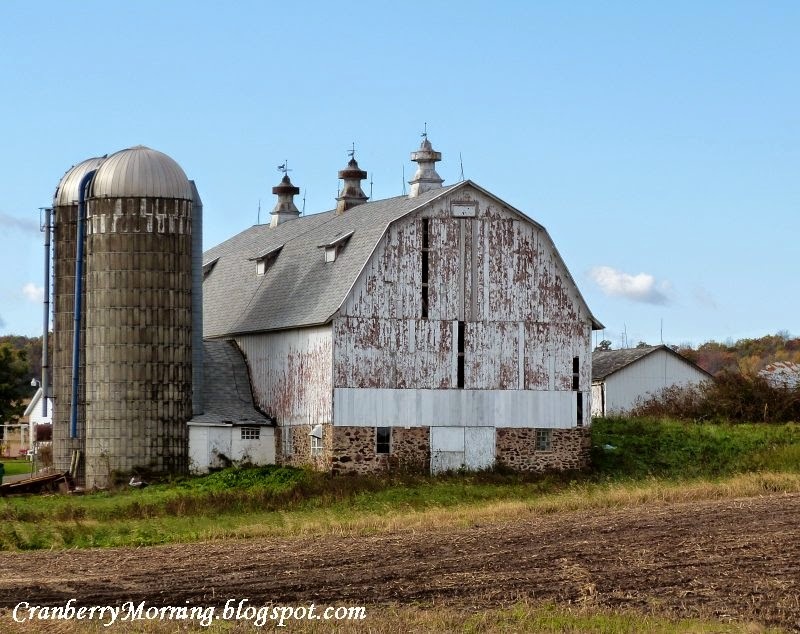 Cranberry Morning gave us a glimpse into her farm country surroundings and family life. Love this big old barn! 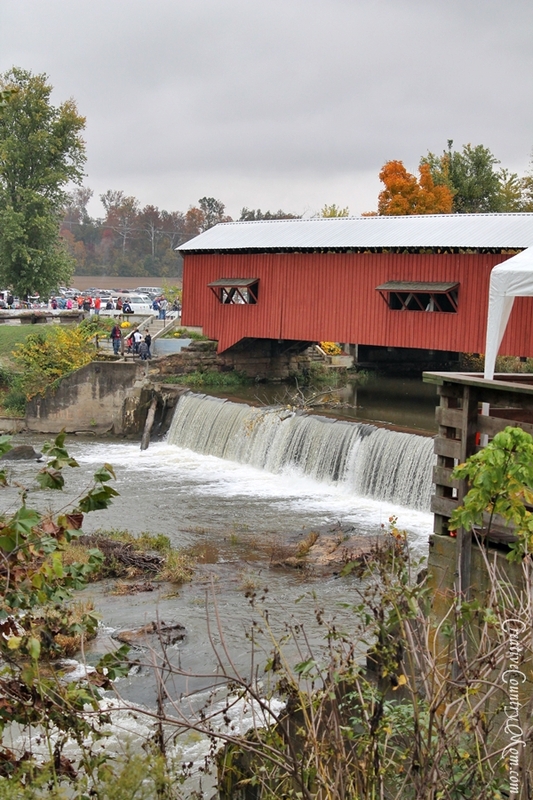 Creative Country Mom took us along to a Covered Bridges Festival - what fun! Visit here to see more!! 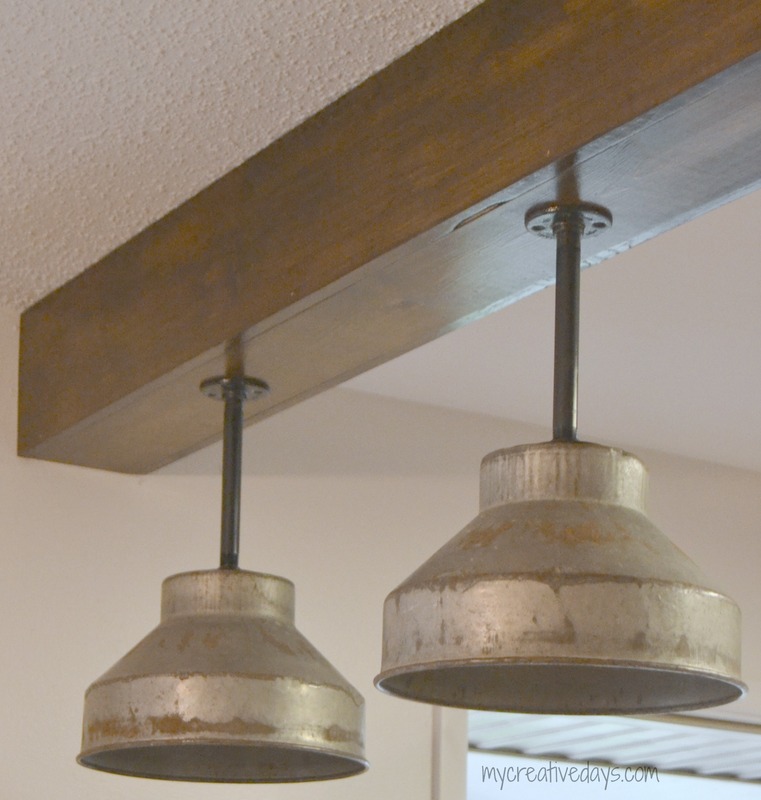 Of course, these lights by My Creative Days caught my eye, because I have a similar milk can funnel light in my kitchen! Visit her to see how they made them! 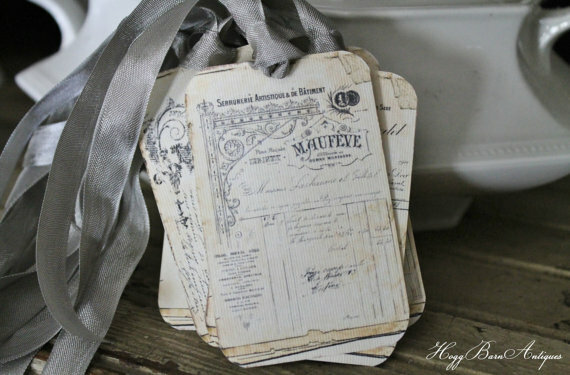 Hogg Barn Antiques has these beautiful French Ledger Gift Tags available in their Etsy shop -just in time for Christmas! 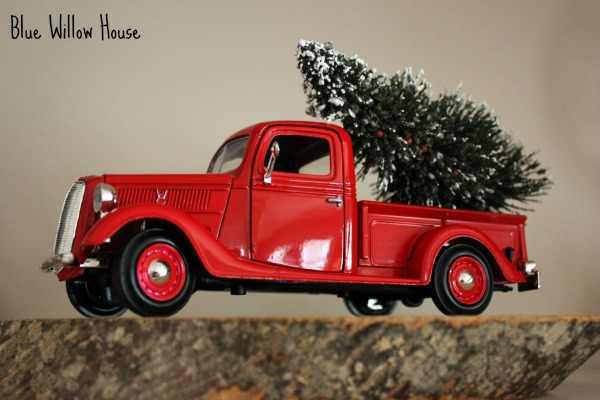 Blue Willow House uses vintage pieces as Christmas decor throughout her home - love this red toy truck! 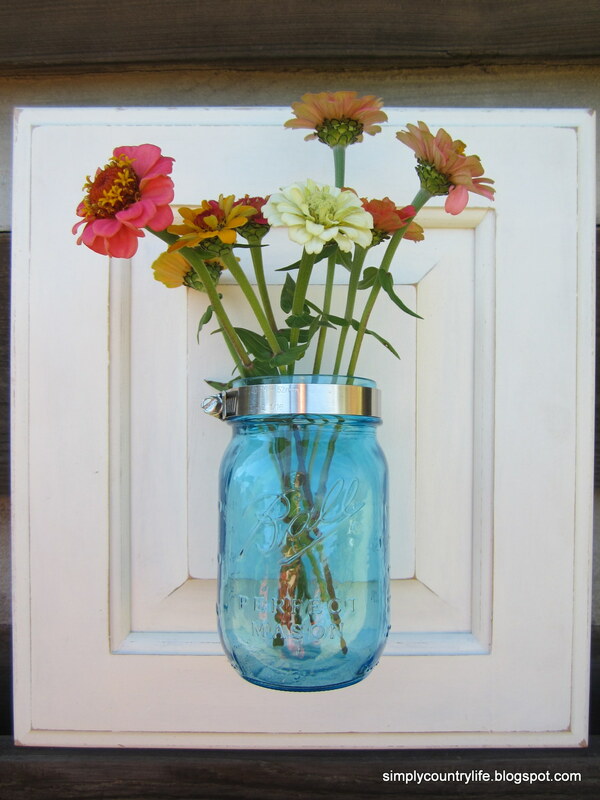 Simply Country Life turned a cabinet door into a charming hanging canning jar vase. Thanks for co-hosting with my Becky! Looking forward to see lots of amazing links today! 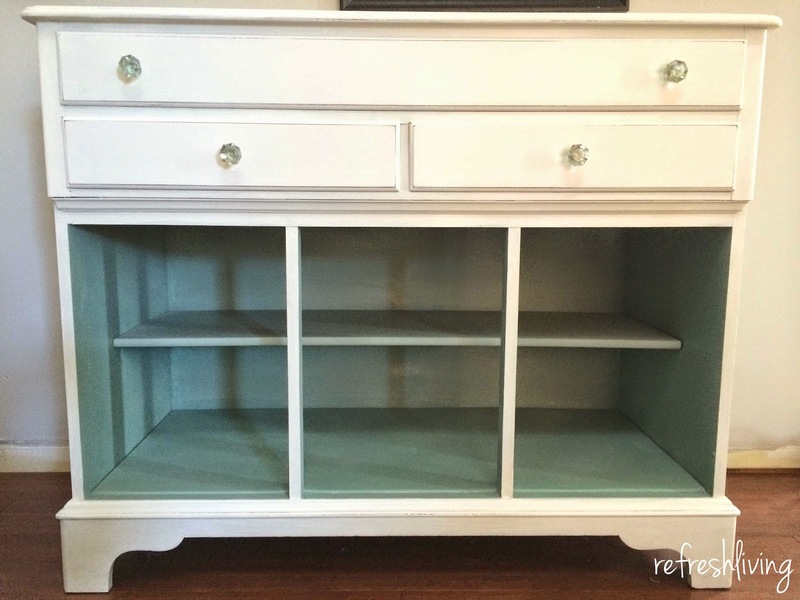 Thanks for featuring our new "toy box" from an old buffet!! What a fabulous party! Thank you for hosting and featuring our Gift Tags!